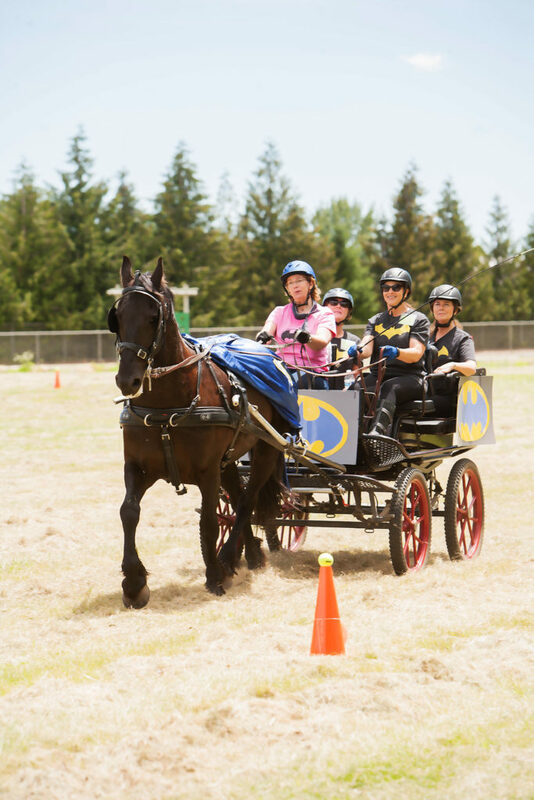 Therapeutic Carriage Driving has many benefits, including physical, cognitive, sensory, and emotional. With carriage driving lessons, our participants receive the benefits of the emotion and motion of the horse without riding. Our driving participants may also benefit from improved hand eye coordination, improved motor skills, increased muscular strength, better core strength and balance. Carriage driving lessons focus on sequencing, environmental and directional awareness, developing trust and fostering communication skills, increasing confidence, enhancing self esteem and enjoying a sense of freedom. Pegasus Project has a wheel chair accessible carriage and we are looking forward to serving more clients with our driving program. We currently have two driving horses which include a VSE (very small equine) named Peaches, and a Friesian named Gretchen.